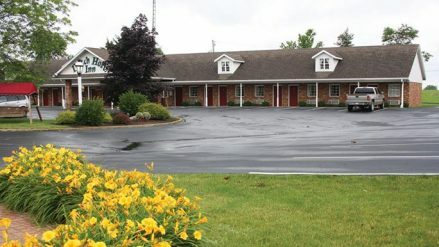 One of our favorite accessible travel destinations is the Dutch Host Inn of Sugarcreek, Ohio. 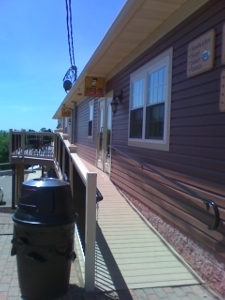 We went there recently, using a gift certificate given to us by our son and daughter-in-law. A very nice Christmas present don't you think? We love going down to Sugarcreek. It's a one of those quiet little cities in Amish Country. The farms are beautiful and the little shops are plentiful. This year we picked the perfect days - the weather was perfect. Not too hot. Not too cold. Sunny and clear. Plus it's a not too far, one tank trip kind of place for us. We took our Vita-mix, (you can read about it here). We found a little grocery store where we bought some fresh fruit, locally made yogurt, and homemade bread. We got dinner at the Der Dutchman Restaurant. Every place we went was accessible - we took Cir's electric scooter. The grocery store, the restaurant, and the next day after leaving the Dutch Host Inn we drove down to Berlin, Ohio. It's about 7 miles down the road from Sugarcreek. Rolling hills with beautiful, well kept farms. The air is fresh, with a hint of manure. We saw many horse drawn buggies driven by old order Amish women in black bonnets and capes or the Mennonites in white caps. Bearded Amish men and clean-shaven Mennonite's going about their everyday lives. All surrounded by camera-carrying tourists in brightly colored clothing. It's a community where people with different beliefs have capitalized on this difference to make an honest living. The Amish and Mennonite's are an interesting people. There lives have changed very little since they came this continent years ago. We always enjoy going there. And we found that the little town of Berlin is a very accessible travel destination. After checking out of our hotel, we found a place to park and pulled out Cir's electric scooter and went exploring. We didn't plan to spend much, just enjoy the sites. We love being together and have always enjoyed each others company. So it's the perfect vacation when you want to save money. 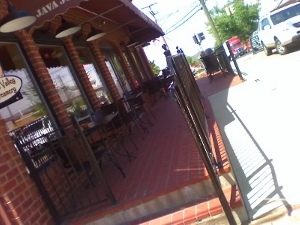 As far as the city being an accessible travel destination, we found several shops, including the Java Jo Coffee Bar (very good coffee), Outlet in the Country, Sommer's Olde Tyme General Store, and Ms. Gadgets - a Kitchen Store, that all had ramps. The main streets had accessible curbs as well, so Cir had no problems getting around. If we had more time, we would have stayed all day. We do plan to go back next month and bring my mother and whoever else wants to come. Hopefully the weather will be just as nice. 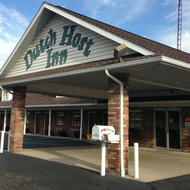 And yes, we do plan to stay at our favorite accessible travel destination, the Dutch Host Inn again next year. Accessible travel to any destination is becoming more and more of a necessity because more and more older people as well as people with disabilities are getting out more. They choose to enjoy life more. And the places that realize this will benefit from their patronage. If you'd like to read about a very special experience we had, click here.